Welcome back to GoGetEssays.com! Today we are going to talk about one the types of common human intelligence that deals with your ability to understand, analyze and control your own emotions. It is called emotional intelligence. Psychologists say that EI is extremely important for both mental balance and personal growth. However, social and emotional intelligence is also beneficial for your academic career, as it helps you both establish the relationships and build your network so much easier. But let’s begin with some basic things you need to know about EI and how it is built. Being one of the basic components of emotional intelligence, understanding your own emotions is one of the hardest things to do. We are not trying to say that you are an emotionless robot unable to feel, no! It might be extremely hard to separate sadness from anxiousness, anger from agitation, excitement from happiness, as well as to understand the reasons for each separate emotion. The ability to tell one emotion from another and to define the root cause of it helps you to make sense of your own reactions, work with your environment and prepare yourself for further growth. The second part of the process is more complex, as we rarely hear that emotions can and should be managed. We are always taught that we should hide our emotions and alter them in order not to make people uncomfortable. However, such hypocrisy leads to both depressed feelings and reduction of self-worth. In order to succeed, we have to learn to handle our feelings and to maintain the balance. This also affects all our communication (both in-class and in personal time). Emotional intelligence also teaches us that these are not only our emotions that matter, but others’ as well. Once you learn to understand how people feel, you will also notice a significant difference in all the interactions in real life, along with some tremendous improvement in your studies. Could you even imagine that your History or Literature classes can become much easier once you learn to understand the emotional reasoning behind the events? You can master empathy by observing people, noticing their reactions and tying them the consequences. It may also help to understand if such reactions are constructive or harmful to an individual expressing them. And while we can see that emotional intelligence and self-leadership are tightly tied, these are interpersonal relationships that benefit the most from the emotional intelligence of at least one person. You have so many relationships within your school that you can’t even count them. Consider the following, once you understand what makes people behave the way they do, you will find it much easier to build the trustful relations with your classmates, professors, and parents, which will be fruitful. It might be hard to confess, but it took me over 3 years to understand that I had so many problems with my emotions I definitely needed help. So I decided to at least track my own emotions in order to understand what feelings are triggered by certain events or things in my life. Now I use an app called Daylio, which helps me cover that. You may find many other apps or keep a journal to track your emotions. Approximately, over the period of 2 to 4 months, you will be able to track the correlations between your emotions and events, and therefore – to manage things properly. pro-active life position. Once you learn what drives you and stop blaming others and taking the victim position, you will learn that it is great to be a leader in some form or aspect of your life. So you can see how amazing working with emotional intelligence may be if you understand the benefits it brings! 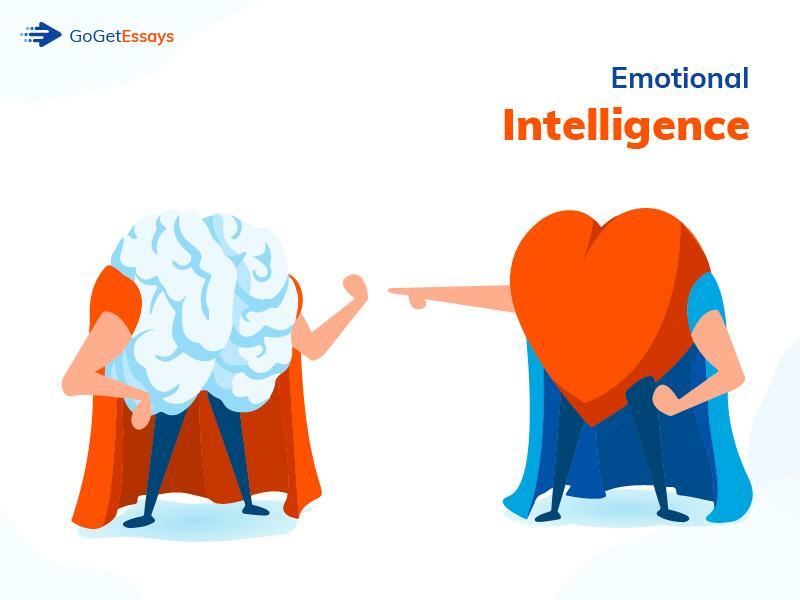 By the way, if you need an essay on Emotional Intelligence, we can definitely help!